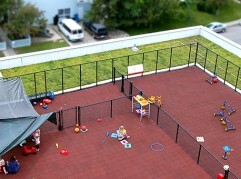 A 6700 sq. 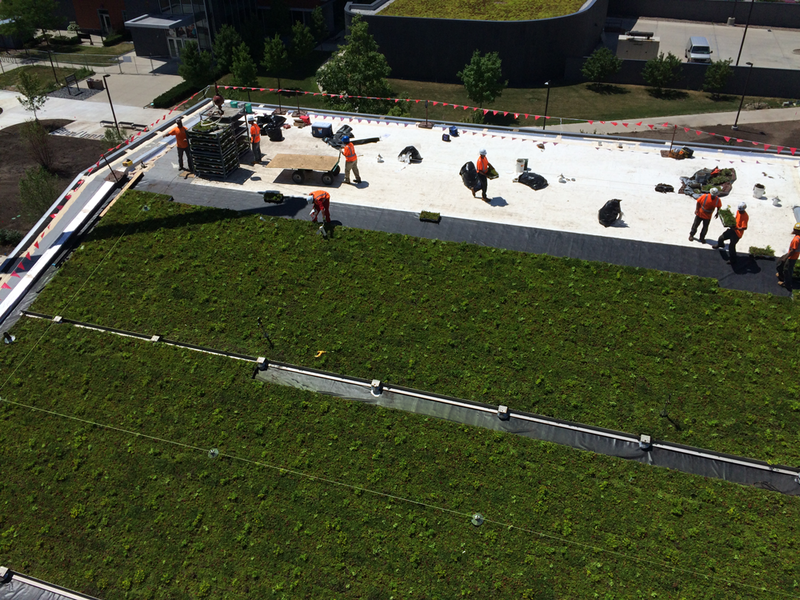 ft. LiveRoof® Green Roof, being installed this week on new Biosciences Building at Central Michigan University, is visual link to the critical health, environmental research inside. 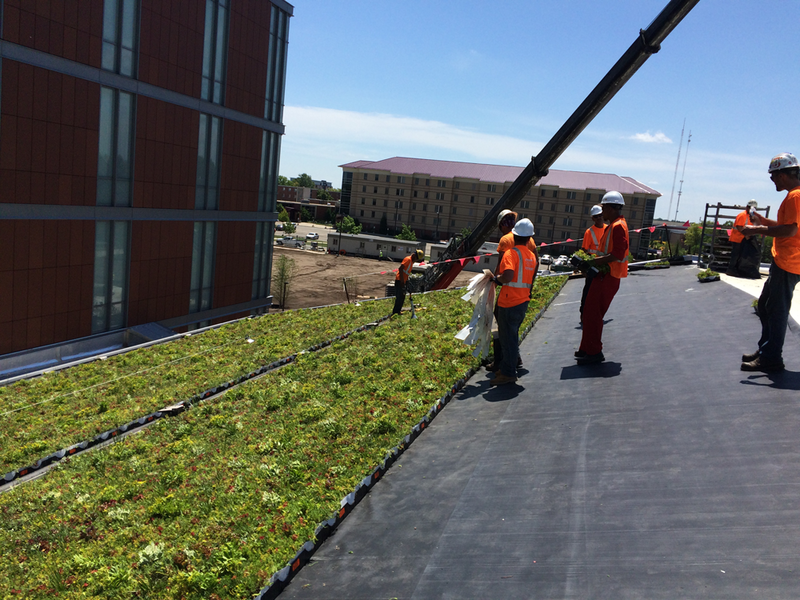 A 6700 square foot LiveRoof® green roof is being installed on the new Biosciences Building at Central Michigan University, July 22-26. 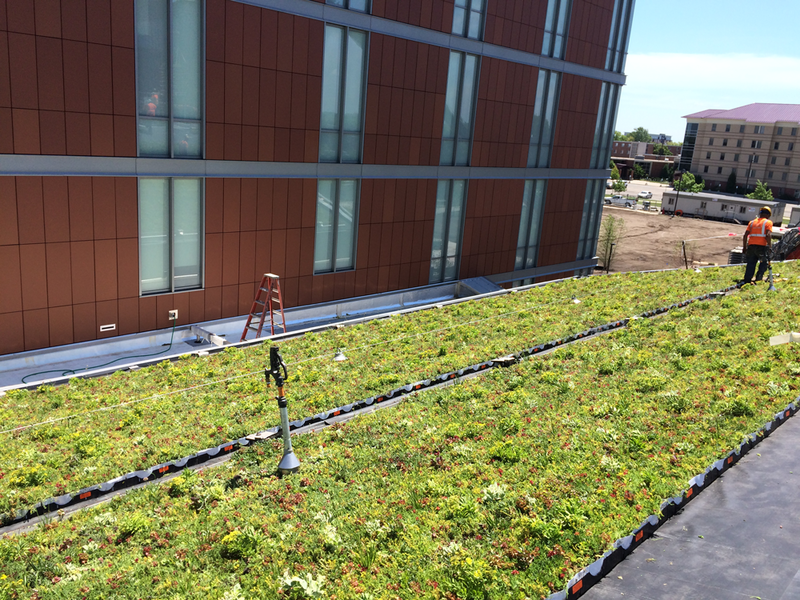 The green roof provides a natural complement to the groundbreaking human and environmental health research conducted by CMU faculty and students. The building is scheduled to be completed in September and classes in the facility will start in January 2017. The 170,000 square foot Biosciences Building will host a plethora of science labs, a 112-person capacity active learning classroom, numerous student study, collaboration and meeting spaces, and offices. The research conducted in the Biosciences Building will allow the university to continue to establish itself as a leader in human and environmental health. 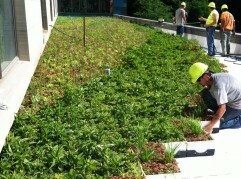 The $95 million Biosciences Building is the largest capital project in CMU’s history. The State of Michigan allocated $30 million for the project, with the remaining funds coming from CMU internal reserves, contributions and proceeds from the issuance of bonds. 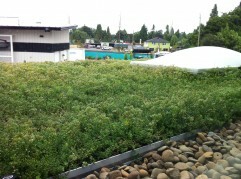 Increases roof life; soil and plants provide a protective barrier, along with a waterproof roof lining, to extend roof life by as much as 200-300 percent. 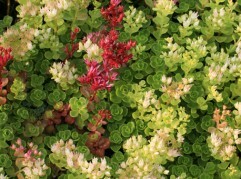 Green roof owners can also expect to mitigate the urban heat island effect, while reaping energy conservation value, and gaining habitable space when including patios, walkways and seating in the rooftop garden design.